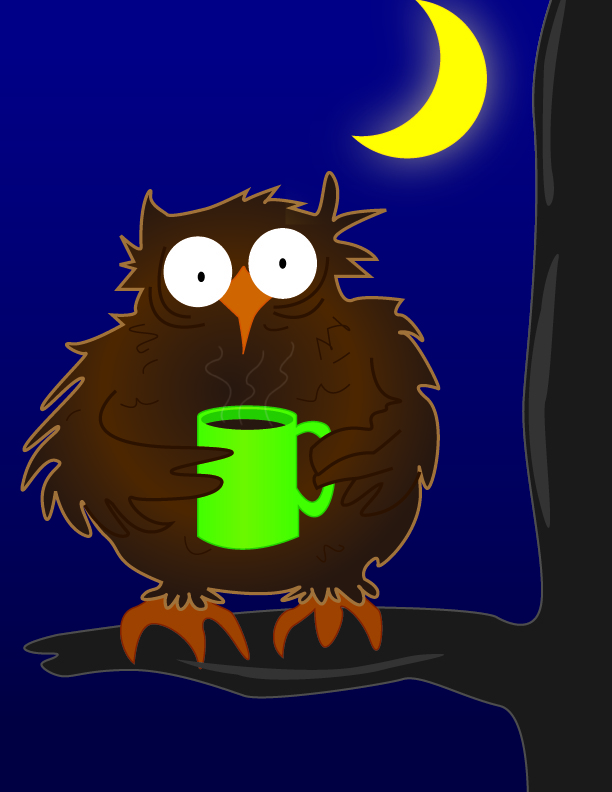 To Be a Night Owl, Or Not To Be? Is It Even a Question? Every night at about 1:00am, I settle down into bed to begin my homework, just in time for my roommate to be entering her second hour of sound sleep. At 1am, I am just entering my peak productivity time. The juices are flowing, the creativity is buzzing and I'm ready to get some homework finished. My roommate on the other hand is ready to go to bed at 11pm and is almost always asleep by midnight. We are two of the classic examples of a morning person and a night owl. So this got me wondering, why am I a night owl, and can I change it? Being a night owl isn't always glamorous. Why are people night owls or morning people? As it turns out, circadian rhythms are what are responsible for a person's sleeping schedule. The Circadian Rhythm is housed in the Suprachiasmatic Nucleus and controls many natural cycles including sleeping, digestions, and temperature. The normal Circadian rhythm runs on a 24.1 cycle. When someone's cycle moves faster or slower, it begins to effect their sleeping schedule and can cause someone to be a "morning person" or a "night person". This article estimates that 15-30% of people's Circadian Rhythm's differ from the normal 24.1 hour cycle. 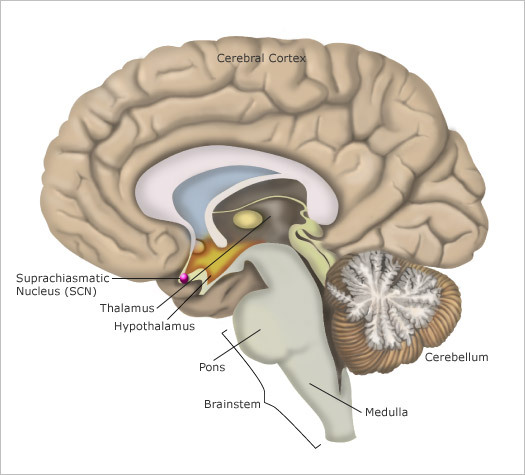 The Suprachiasmatic Nucleus is responsible for housing the Circadian Rhythm. While one style of sleeping isn't necessarily better than the other, night owls do tend to have more negatives, especially since being awake in the morning is more adaptive. Aside from living in a diurnal world that values daytime working and classes which results in sleepiness on the part of night owls, there is one other major negative. Studies have shown that there is a correlation between being a night owl and weight gain. According to the previously linked to article, night owls consume an average of 248 more calories per day than morning people which adds up to about 2 pounds per month and have a higher BMI. While the reason for this is only speculation, there are some theories including night owls prefer eating higher calorie foods or because there are less healthy options later at night. 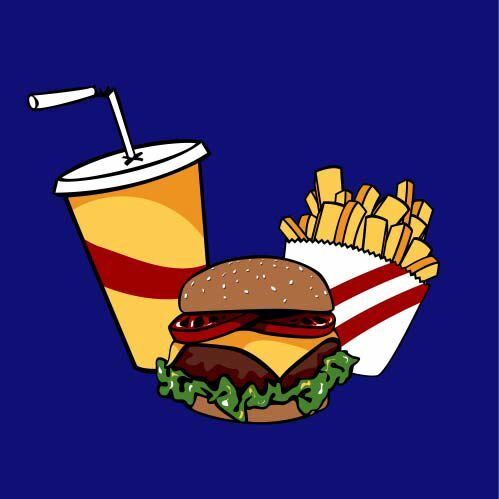 Unhealthy late night options like fast food may be responsible for the correlation. This leads me to my final question, can we change the pace of our Circadian rhythm to switch from being a night owl to morning person or vice versa? Dr. Tracy Sparks, MD, believes we can. Since most people want to switch from being night owls to morning people, she focused on how that switch can be made. 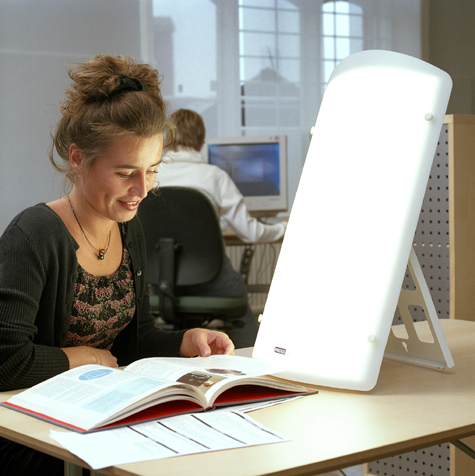 According to Dr. Sparks, using a light box may help to make someone a morning person. Light boxes simulate light from the sun which helps to shut down the production of Melatonin, the sleeping hormone. This shut down, helps you to wake up and if done with enough frequency can alter someone's melatonin production schedule, thus letting them be able to wake up earlier. On top of this, she suggests trying to get to sleep at a decent time and getting absolutely no less than 6 hours of sleep per night. Light boxes can help to alter sleep schedules. No matter what your sleeping schedule is, the most important thing is to adapt to it. If you're a night owl, don't schedule classes early in the morning, and if you're a morning person, don't schedule meetings or classes late at night. Adaptation is key. So all you night owls, get to sleep, and all you morning people, I hope you're having sweet dreams! I really liked the topic of this blog, Lauren! I thought it was really interesting that there is actually something different in people's minds that cause their morning or nighttime preferences. I wish there was more concrete advice from experts for those of us, like myself, that would like to change our night owl ways in order to be more productive starting earlier in the day. (I often have trouble getting to classes that begin at 10:10 am). But I definitely agree with you that adaptation is key. As long as you make the most use of your time and be productive, morning or night doesn't matter to a college student. I would absolutely have to agree with both of you when it comes to labeling myself as a night owl, I know I am and everyone that knows me knows I am. It's crazy actually because even if I am tired earlier on in the night and I go to try to go to bed early for once, it's literally impossible for me to do. I will lay there trying to fall asleep but only be able to stare at the wall and think about what else I could be doing or how early it is. My family is pretty much full of night owls, which kind of makes me wonder to myself that maybe being a night owl is somehow in my genes. Is that possible? Or, is it just that I've grown up around that so I've adapted, as you said, to that lifestyle? I think it has a lot to do with how you're raised because my sister studied abroad in Spain for a whole semester and while she was over there every single day from 12pm-2pm they would have siesta. Obviously that is a culture thing, but their bodies have become accustomed to a nap everyday at midday now, my sister even being there for a month became adjusted to having one. She relied on it actually because she found herself getting tired right before siesta time. It's weird how our bodies can constantly readjust, but still always like at least some kind of structure to our schedules. I too am a night owl, my roommate thinks I'm always sleeping actually- but thats because I take several naps during the day since I don't sleep much at night. I have always been this way, in high school I would start my homework around midnight and then get to bed around 3 am every night. I would wake up around 730, and when i got home from school id sleep from around 4 pm - 9pm. This is clearly not healthy and not only is there research pointing out the weight consequence, it may take years off our lives! - Here's more info about it! The research you spoke of uses melatonin to reconstruct our "natural" schedules, and I have found the only time I can sleep a full night is when I take the melatonin tablets available at any drug store.